The Super Star Mahesh Babu is in Dubai with his family, celebrating Christmas and New Year and busy getting a taste of the sights around. The weather in Dubai during December is amazing and it's usually cold and cloudy. 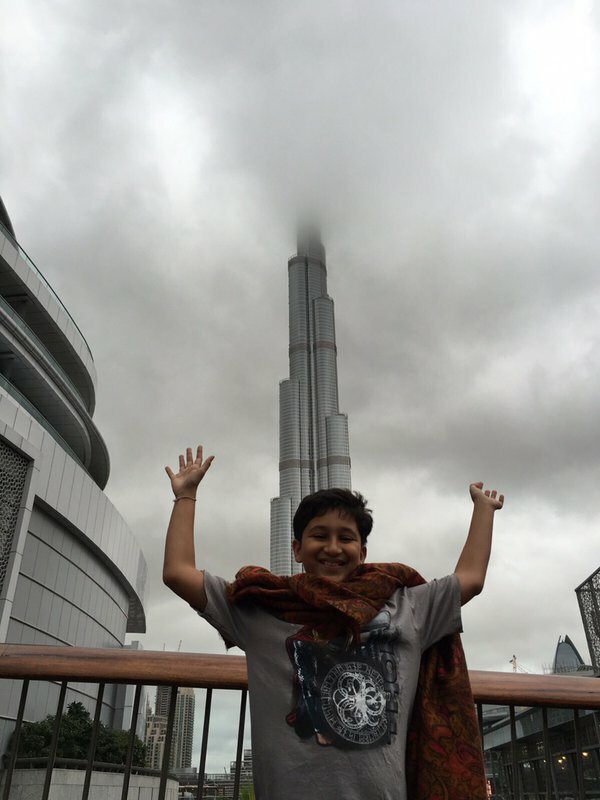 When the Telugu star and his son were near the Burj Khalifa - one of Dubai's most famous landmarks - they found an unusual sight. The 830 m skyscraper seemed to just disappear into the clouds. Mahesh Babu quickly took a picture with his son Gautam in the foreground and the Burj Khalifa in the background. The star shared the picture with his followers on social media much to their delight. Mahesh Babu is currently shooting for Srikanth Addala's Brahmotsavam and is on a festive break.